Over the past decade, inflation has persistently undershot the Fed’s inflation target. The Fed’s preferred measure of inflation, the core PCE deflator, has average 1.56 percent over this time compared to a target of 2 percent. The Fed officially begin inflation targeting in 2012, but was implicitly targeting 2 percent long before that time. So below-target inflation has been happening for close to a decade and for many observers it is a mystery. I recently participated in an AEI event that showcased George Selgin’s new book on the Fed’s floor system. My role at the event was to comment, along with Bill Nelson, on George’s book. Readers of this blog will know I share many of George’s concerns about the floor system that are outlined in his book and I would like to see the Fed move to a symmetric corridor system. The FOMC spent a good portion of its November meeting discussing this issue. My comments at the AEI event, however, were not on the tradeoffs between a corridor and floor system but rather on how close the Fed currently is to a corridor system. 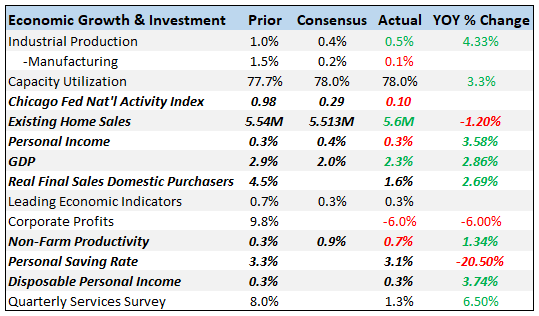 There are some indicators that the Fed may not be too far away. As readers of this blog know, I have an interest in the Fed’s operating system. This interest has culminated in a new paper where I look at the consequences of the Fed moving from a corridor system to a floor system in 2008. In particular, the paper looks at what this change has meant for bank portfolios and, as a result, financial intermediation provided by banks. The paper concludes with some policy recommendations. I would also note that George Selgin has just released a new book on this topic. My hope is that these projects will help inform the conversation over what operating system the Fed wants as it continues to normalize monetary policy. The Fed’s Floor System: Sayonara? If sustained, this rise of overnight interest rates above the IOER rate could spell the end of the Fed’s floor system. ECB policy–and its response to the various shocks hitting the Eurozone–has effectively kept nominal demand growth in the core economies fairly stable while pulling it down in the periphery. This divergence suggest the Eurozone is quite far from being an optimal currency area (OCA). If the Fed decides to move more this year, I think it’s inevitable that the curve inverts and I think it will be a mistake,” said Colin Robertson, managing director of fixed income at Northern Trust Asset Management… He sees greater than a 50 percent chance of the 2- to 10-year spread inverting if the Fed raises rates once more this year, and if the central bank follows its projections and hikes twice more, Robertson sees inversion as a lock. [F]riends and former colleagues of Powell’s describe him as “annoyingly normal.” He lives in Chevy Chase, Md., and often rides his bike about eight miles from home to the Fed. He doesn’t drink much, plays golf and the guitar, and has an odd ability to repeat people’s sentences backward to them, a quirk former colleagues say is a reminder of his smarts — and how closely he listens. What Can Argentina Teach Us about the Phillips Curve? In the United States, there has been existential angst over Phillips curves for the past few years. Fed officials and other observers have been engaged in deep soul searching as they try to reconcile a falling unemployment rate with stubbornly low inflation. The Phillips curve says this development should not be happening–inflation should rise as the economy nears full employment. And yet, it has been happening for several years. Today, I interviewed Nick Timiraos of the Wall Street Journal for the Macro Musing podcast. He is on the Fed beat now, but covered the GSEs during and after the financial crisis for the paper. Consequently, he has an encyclopedic knowledge of Fannie Mae, Freddie Mac, and the other GSEs. His knowledge and experience were the basis of our conversation today. It was a fun show and should be out in about a month. I wanted to share some figures I collected on the U.S. mortgage market in preparation for the show. They come from an amazing monthly report on housing from the Urban Institute called Housing Finance at a Glance. These figures provide a peak into my conversation with Nick. Macro Musings has now hit its 100th episode. It was a great show with Heather Long, Ryan Avent, and Cardiff Garcia where we look back at the past decade and look ahead to the next one. Below are a few pictures from the show. Thanks to Patrick Horan who has been a great sound engineer for most of the show. It could not have happened without him. Take a listen! My colleague Scott Sumner and Ethan Roberts have a new primer on NGDPLT. It is a very accessible introduction to the topic, but one that also gets into NGDPLT futures targeting. Check it out. Paul Krugman looks back on the past twenty years of macroeconomic policy and finds that his 1998 paper was more prescient than he or anyone could have imagined. Back then many observers assumed that central bankers–particularly those at the Bank of Japan–need only increase the monetary base to increase the price level. It was that simple. Jay Powell went to Capitol Hill today for his first congressional testimony as Fed Chair. In addition, he submitted the Federal Reserve’s annual Monetary Policy Report to Congress. A lot of ground was covered in his testimony, follow-up questions, and in the report. Here, I want to highlight one very interesting and potentially significant part of his testimony. And that is Jay Powell’s endorsement of monetary policy rules.